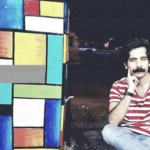 Human Rights Activists News Agency (HRANA) – Civil rights activist and Tabriz resident Alireza Moeinian, who was among those detained amid the January protests, has been sentenced to 8 months in prison by Judge Ahrari of Tabriz Revolutionary Court Branch 2. Initially arrested January 1st and detained in Evin Prison’s Ward 209, Moeinian was able to go free at end of his initial interrogation sessions by providing a salary slip as a surety bond in place of cash bail, an informed source told HRANA. Later, on April 23rd, 2018, Branch 19 of the Tabriz Prosecutors’ office summoned him to read him his charges: propaganda against the regime and participation in an illegal gathering. His bail was set at 1 billion rials (approximately $10,000 USD). A large number of participants in recent protests referred to as the “January protests”, were detained and interrogated across the country. The protests resulted in the death of 25 individuals and the detention of around five thousand. Tabriz is located in northwestern Iran.